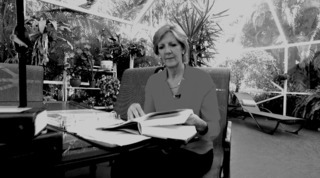 A former Air Force intelligence officer trained to keep national secrets, a former bank executive trained to detect fraud, and a former treasure for Palm Beach County Schools: bullet points on a resume which tell part of Debby Montgomery’s story. “I worked a lot with customers who had checks that were set to them. Turns out they were scammer checks,” said Montgomery with a grin, sitting in her Lake Worth home. But there is a part of Montgomery’s story that is hidden from her Air Force medals, her binder of certificates and letters of praise. Alongside the awards, Montgomery has thousands of pages of love letters from a man she spent two years getting to know. “It was wonderful. I thought I was keeping family history,” she said. His name was Eric Cole, a British contractor who traveled the world brokering hardwood trees. “It was fun. It was like I was 16 again, and my heart was just full of butterflies,” Montgomery said. She never dreamed their love letters would later be at the heart of an FBI investigation. If that number shocks you, consider this fact: Montgomery is not alone. “That is not the first seven-figure loss that I have heard of,” said FBI Supervisory Special Agent Jason Manar. According to the FBI, Americans lost more than $1.3 billion to scammers in 2016. Lonely after her husband of 25 years suddenly died, Montgomery joined a faith-based dating site. She was quickly matched with Cole. After weeks of living in e-harmony, Cole asked for help. “It was maybe $40. It was not very much,” said Montgomery, remembering the details. As her heart grew, so did the contractor’s request. “I fell in love with the idea of this man,” said Montgomery, who noted the two talked on the phone occasionally, but had yet to meet in person. Dating apps and dating sites match you with strangers, but Contact 5 looked at the fine print of ten different popular dating companies. All of them included some legal statement which prevents you from suing or blaming the company if one of your matches later scams you. Also in the fine print? None of the sites we looked at run criminal background checks on their users. Two years and one million dollars later, Cole confessed: it was really just a scam. His name was Joseph and he lived in Nigeria. “I put up a smile and pretended that everything was fine, but inside I was just dying,” said Montgomery. “I was hurting, I felt stupid, I felt used. I felt all those emotions that come up with being taken advantage of. Montgomery took her records to the FBI, but unless could Joseph to the U.S., he will probably never be prosecuted. “I think there needs to be a lot more done to protect the profiles and to protect the people, you know, women like me,” said Montgomery. Inspired to share her story to educate others, Montgomery wrote a book about her loss: The Woman Behind the Smile: Triumph Over the Ultimate Online Dating Betrayal. Scammers usually use last names like Cole, Moore, Smith or Williams. A scammer will say they are “God fearing” and searching for “God fearing” in a mate. They claim they are honest and caring. 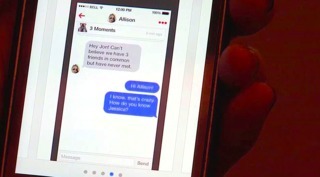 They immediately want to get off the website or app and move to another messaging resource like Yahoo chat. A scammer might give you a phone number, but it is typically a calling card or a call center; you can rarely get them on the phone. The majority of scammers claim to have lost a spouse/child/parent in a horrific accident. They also might claim a loved one is sick or in the hospital.